The oldest name in ink production in the world. Herbin is the oldest name in pen inks in the world. Herbin fountain pen ink in bottles and cartridges are available in 33 vibrant colors. They include Rouge Hematite, Bleu Ocean, Stormy Grey, Gris Nuage, Perle Noire, Bleu Azur, Bleu Pervenche, Bleu Myosotis, Eclat De Saphir, Bleu Nuit, Rouge Caroubier, Rouge Bourgogne, Vert Pre, Diabolo Menthe, Vert Olive, Lierre Sauvage, Vert Reseda, Vert Empire, Ambre De Birmanie, Lie De The, Cacao Du Bresil, Café Des Iles, Terre De Feu, Poussiere De Lune, Bouton D'Or, Orange Indien, Rouille D'Ancre, Rose Tendresse, Bouquet D'Antan, Rose Cyclamen, Rouge Opera, Violette Pensee, Larme De Cassis. 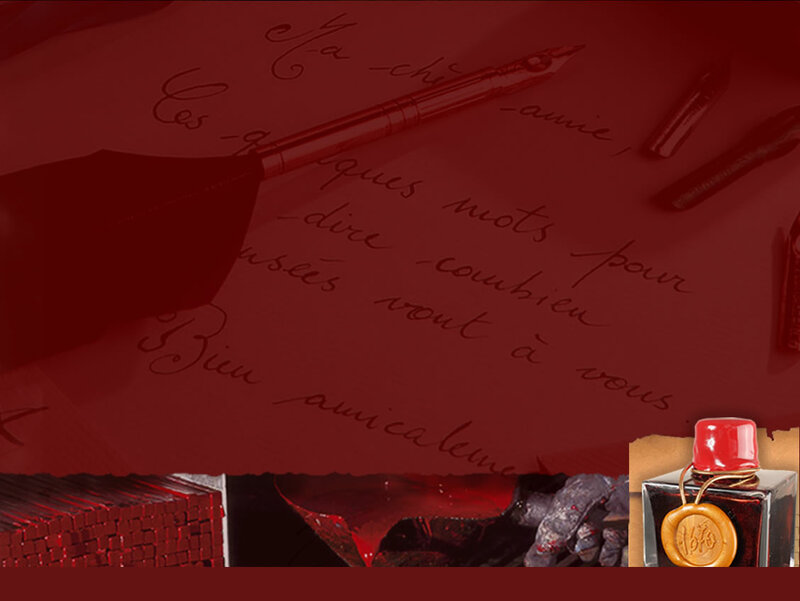 Violette Pensee was the standard ink for students in the 19th and 20th centuries. Poussiere De Lune is often referred to by its English translation: Moon Dust. Favorites include Perle Noire, Eclat De Saphir, Bleu Nuit, Rouge Caroubier, Lierre Sauvage, Vert Empire, Lie De The, Poussiere De Lune, and Violette Pensee. The 1670 Ink Collection currently includes Rouge Hematite, Bleu Ocean and Stormy Grey. Herbin produces several scented fountain pen inks: blue with lavender scent, green with apple, amber with orange, red with rose and violet with violet. Herbin's India Ink (also called "China Ink") was first produced in 1829. In of its ingredients comes from the Punjab region of India. Herbin sealing wax was first made in 1670. It was used by King Louis XIV (The Sun King) for official documents, and by the royal court in the following centuries. Our sealing waxes include the "Official" or Traditional Wax, Supple Wax, Scented Supple Wax, Pearlescent Supple Wax, Kings' Wax with Wick, and Modern Wax for glue guns. Our Official Wax is available in Gold, Silver, Copper, Grey, Black, Light Blue, Midnight Blue, Crimson, Dark Green, Yellow, Brown, Oak, Ivory, Rose and Purple. Supple Wax is available in Gold, Silver, Copper, Midnight Blue, Red, Burgundy, Forest Green, Ivory, Rose, Parme, Blue, Orange, and Green. Kings' Wax is available in Gold, Silver, Copper, Midnight Blue, Red, Burgundy and Forest Green. Modern Glue Gun Wax is available in White, Gold, Silver, Black, Light Blue, Dark Blue, Red, Burgundy, Dark Green, Cherry, Baby Blue, Light Green, Ivory, Orange, Baby Pink, Old Rose and Lilac. 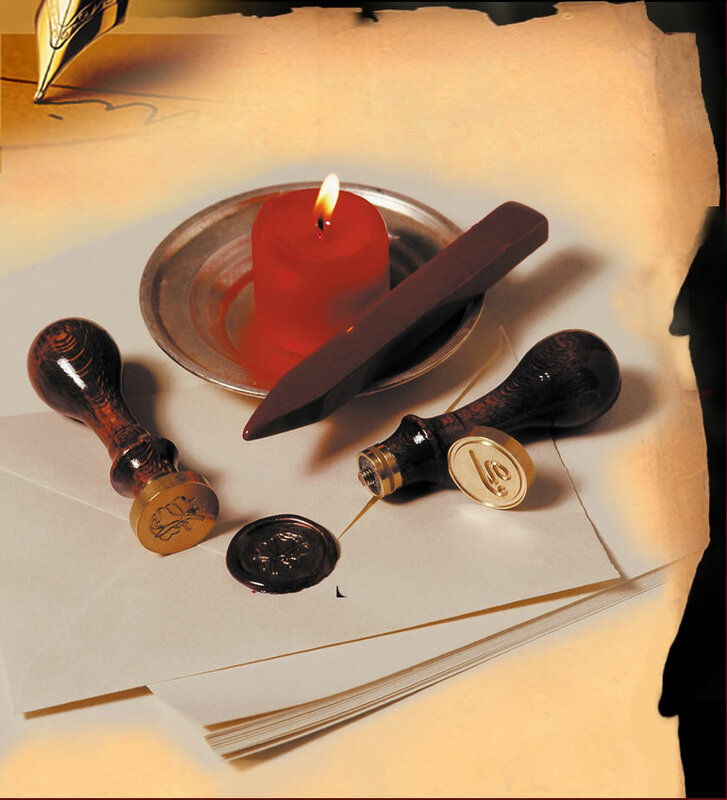 Sealing wax has many uses: as finishing touches to perfume or wine bottles; to seal letters and documents; mixed media artwork, and decorative embellishments.